The last point seems to be conflating two separate issues: a team's overall payroll and how that payroll is distributed. If the M's increased their payroll by $20 million then they clearly could sign an additional player for $20 million without hindering the rest of the roster. Whether or not it is wise to spend $20 million dollars on one player rather than two or three is a totally different issue. I have shown that Dipoto's willingness to sign "stars" is perfectly inline with the rest of the league, and I have explained why we should not presume that signing a larger proportion of stars would be better (https://seattlesportsinsider.com/?q=blogs/is-min-maxing-optimal). Then again, I may be completely misunderstanding what the argument is. Let's think this through. If Stars and Scrubs is inherently optimal, then every team should pursue it, right? But what would happen if that were the case? The result would be that the cost of stars would go way UP, the cost of scrubs would go way UP, and the cost of Civics would go way DOWN. The problem should be abundantly clear. Acquiring stars or scrubs would be horribly inefficient, while Civics would be a bargain. Therefore, going after Civics would be optimal. That means the optimal strategy is going to depend on the specific market conditions at the moment. And in a rational market, an equibilrium will be reached which will make either strategy about equally valid. Therefore, "Stars and Scrubs" can not possibly be inherently optimal. And then Papa goes on to count up the stars on each team, noting that the M's do have 3-4 stars and concluding that the Mariners are typical of major league teams in their current philosophy. Firstly, thanks for a very fine argument. In reply to your last paragraph listed: Stars & Scrubs is a type of third-order thinking that transcends $/WAR which has a complete stranglehold on the free agent market. I firmly insist that the 30 major league GM's lack a solid understanding of the concept, as do 95% of rotisserie players and sabermetricians. Maybe the best way to understand the problem with extreme "Civics" teams is to watch a Pat Gillick team decay and collapse for years or decades after he's done with it. The 2002 M's team was packed with mid-salary Civics like Dan Wilson C, John Olerud 1B, Bret Boone 2B, Carlos Guillen SS, Mike Cameron CF, Edgar Martinez DH, Moyer, Garcia, etc. You are not going to swap Olerud and Martinez out in an agile manner if they start playing badly. Extreme Civics teams become OSSIFIED. Right now the Mariners have only 3 of 25 positions ossified: 3B, SS, and whatever Robinson Cano plays. Stars & Scrubs (and Billy Beane) has nothing against a 4 x $8M contract. What it resists is ten or twelve such contracts, the Gillick model. Minor note: the M's do have four players paid like stars, but two of course (Cano and Felix) were decisions pre-Dipoto, and Leake's salary is patially paid by St. Louis. Seager's the other guy making big money. I think the definition of Civics can vary too widely. To me, a Civic is anything we pay above minimum. We could have a minimum wage Pinto that gets a little worse gas mileage, but the tradeoff is you paid 500k for it instead of $6M. Wade Miley was a Civic. Nor Aoki. Rzepchinski, Nicasio, Lind, even Trumbo was a Civic. Then, you get to your middle class Mike Leake and Nelson Cruz's before you stop at the Ferraris (Cano) and some of the classics (Felix). My theory is why should we buy several $6M civic when we can just park the Pinto and drive our nicer cars more often? 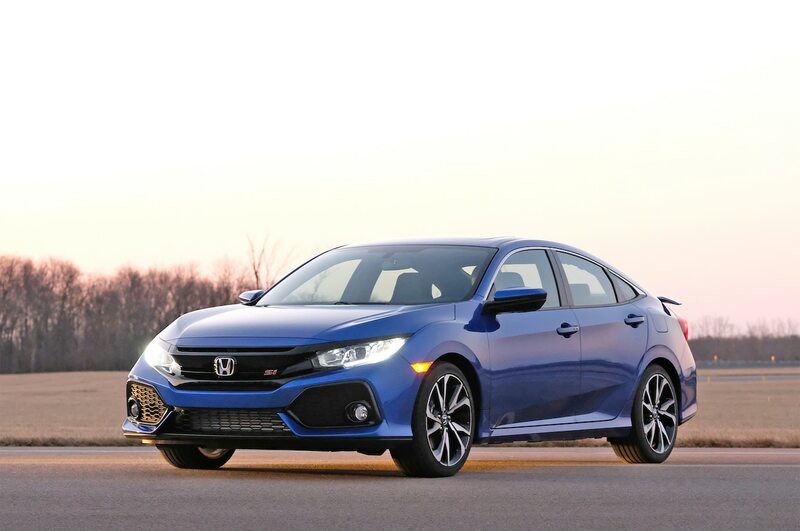 I would sell most of my Civics (Nicasio, Gordon), make sure a couple of my Pintos have had the engine replaced (Gamel and Healy), get new tags on the middle class sedan (Cruz) add a Porsche (Bryce Harper) and we're on the way to the 2019 playoffs. 2 years with $27.1M remaining and sort of unswapable (after this season's numbers). But just 2 seasons isn't really ossified, is it? Seager's worst 2 MLB BA seasons have been the last two. His bat is worrisome, to some degree. We have Cruz dollars and Span dollars to spend this off-season. What's that, something like $19M. I just can't imagine that we don't spend some of it oon an arm, unless we're totally comfortable with Elias/Erasmo as 6/7. But that doesn't get us any closer to the playoffs than we were this season. And we will probably negotiate over the winter with both Haniger and Diaz to get a bit of a break by giving them their first big check early, well before we would have to. This team gets better if we hit a FA pitching homerun with Cruz's dollars or with a guy bouncing back at discount prices. Three starters sub-700 OPS, another borderline. As per BJ Online discussion a few days ago, high-homer low-OBP guys - Seager, Healy, Zunino - while fine by themselves can sink a ship when loaded together. Seager's AB Saturday in the 9th was a perfect metaphor for the whole season - great possibility denied by earnest but futile effort. For some reason, this season really hurt more than the last 15. Mo, you letting Cruz walk and putting who at DH? Vogs, Cano? Cruz has still been a good hitter but his slumps seem to be getting longer as he sells out for power. I hate to say because he seems like a difficult guy but Harper would be perfect for this team. CF pure hitter. But we're probly not gonna add another long contract on top of what we got. I would use the Cruz dollars to buy an arm on the market. I advocated trading him to an AL team last winter. I don't see how we get to a ToR arm without using his dollars. I'm not sure we have the trade resources to get one that way, either. Vogs, Healy, Cano....1B and DH. We're stuck with Gordon at 2B, I think. Let's hope for a bounceback. Especially with ex-M’s like Ji Man Choi and Mallex Smith. I wonder if Vogs will be another team’s answer at first base.